The custom Ocean Blue Officine Gullo kitchen suite was imported from Florence, Italy. This extraordinary library is a peaceful sanctuary that pulls double duty as the homeowner’s private office. At Housetrends we are fortunate to see a multitude of beautiful homes in a variety of locations – and that never gets old. However, every once in a while some particular spaces in these homes take amazing to a new level. These rooms can evoke a “wow” from even our most seasoned staff members. 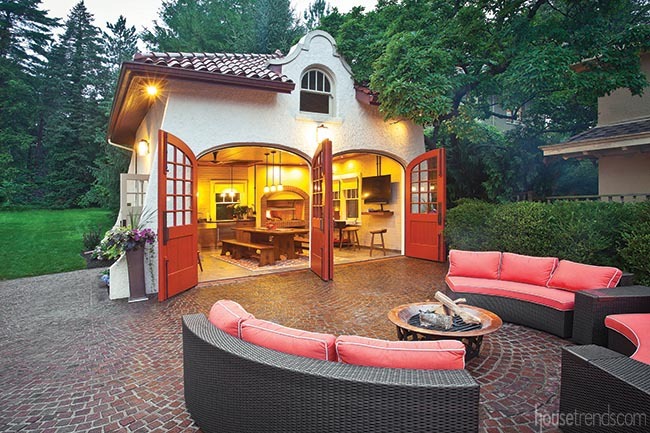 What follows are some of our favorite “wow rooms” from Housetrends markets. The two-sided fireplace offers a glimpse into the great room, located on the other side of the wall. 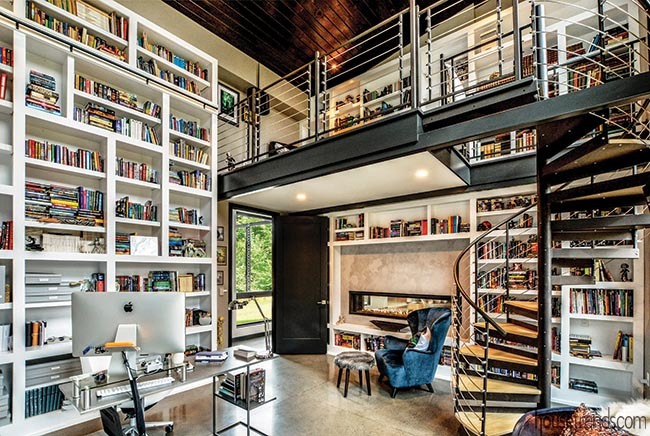 Perhaps the crown jewel of this home in the Pittsburgh area is the extraordinary library, a peaceful sanctuary that pulls double duty as the homeowner’s private office. Like the rest of the home, the library has comfortable and modern elements. The bookshelf concept was initiated by the architect’s interior renderings. 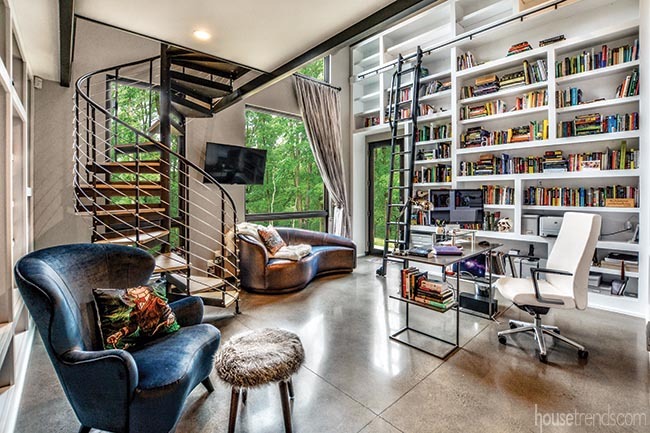 A spiral staircase is the only access point to the small loft, where a cozy chair is tucked into the corner, providing another reading nook with spectacular views of the outdoors. Floor-to-ceiling shelves house a myriad of books, which are organized in an elaborate system. 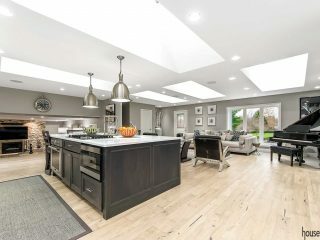 Large sliding doors can be thrown open to connect the indoor living room and the outdoor patio when the owners are entertaining. 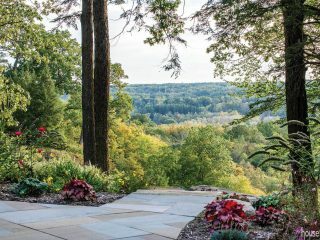 Indoors or out, guests are sure to enjoy the gorgeous view of the surrounding landscape of this home in Northeast Ohio. Characterized by simple, clean lines the owners chose to spotlight their surroundings with floor-to-ceiling windows and retracting doors that offer easy access to a patio. Bright colored ottomans rival the natural colors of the outdoors, while a sofa beckons friends and family to relax. Aside from the playful ottomans, the owners opted to keep their furniture selections simple and neutral colored, feeling that anything else would overwhelm the contemporary home. 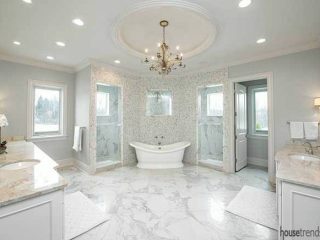 The Sicis custom designed, cut glass mosaic art feature positioned above the bathtub in the master bathroom can be removed thanks to five bolts. The human form has always been a popular subject in visual art. 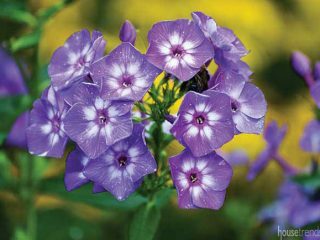 It evokes a variety of emotions and encourages creative expression. The massive art piece positioned above the bathtub in this St. Petersburg, Florida home elicits a powerful response, making it virtually impossible to shift your focus. The stunning piece is made of cut glass mosaic tile from Sicis in Italy. 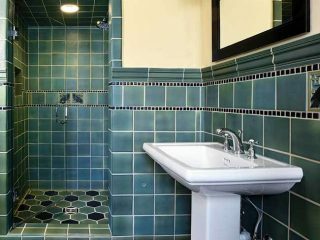 The mosaic is held to the wall with five bolts, allowing it to be removed if the homeowner chooses to move or redesign the space. The dramatic entry’s original arches and pillars were preserved and worked into the elegant design of the formal living room. After gutting their 1990 Dayton, Ohio home down to the studs, the owners set out to bring it back to its former glory. Despite years of neglect, the original solid mahogany front doors were completely restored. 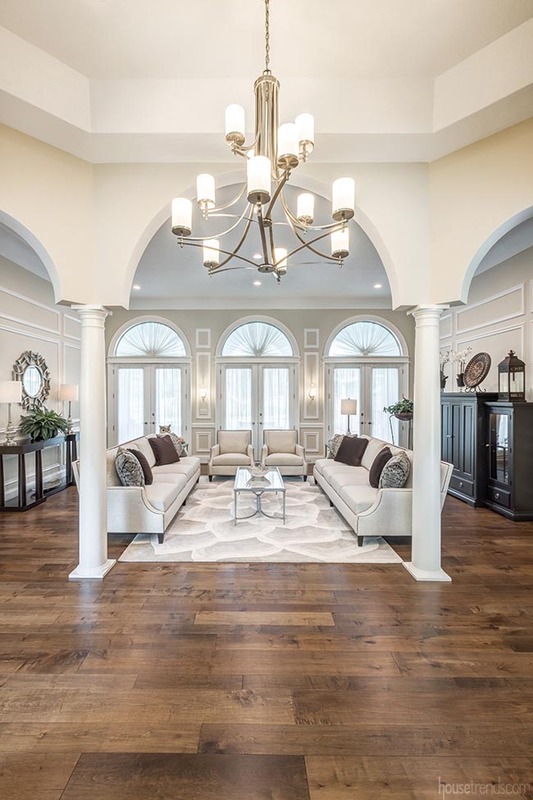 Inspired by the arched front entry, the homeowners incorporated a series of arches and pillars throughout the house, including in the entrance to the elegant great room. Decorated in soft cream and rich chocolate brown hues—and featuring a beautiful area rug with plenty of visual movement—the great room is the perfect focal point to greet guests as they enter the home. To give this outdated carriage house a new lease on life, existing doors were stripped, re-glazed and painted to add a warm punch of color. 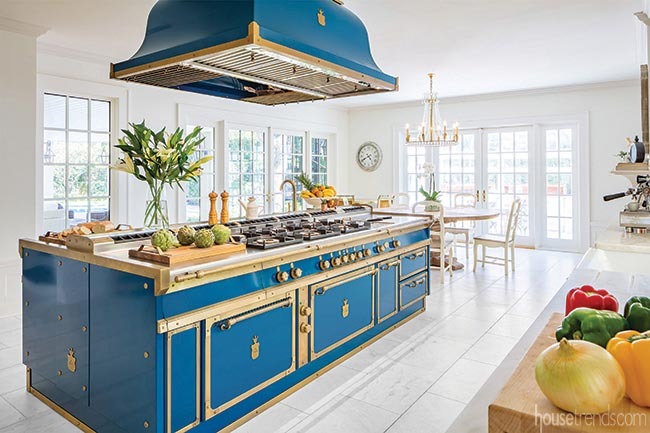 Brass accents are all the rage right now in kitchen design, and this culinary masterpiece in Clearwater, Florida takes that trend and runs with it. 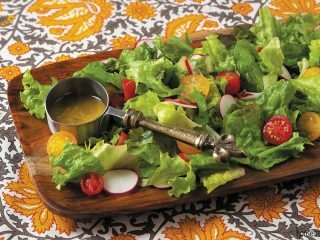 The centerpiece of the kitchen is the massive Officine Gullo island made of solid steel and brass, which was imported from Florence, Italy. 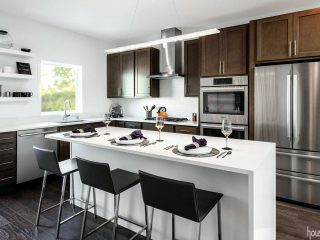 The custom island, which has a price tag of roughly $134,000, features a beautiful Ocean Blue finish and houses gas burners, a prep sink, counter space and a pasta maker. 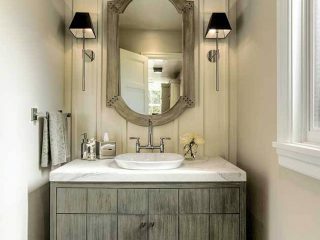 This classic spa-like space replaced the original–and dated–first-floor master bath. 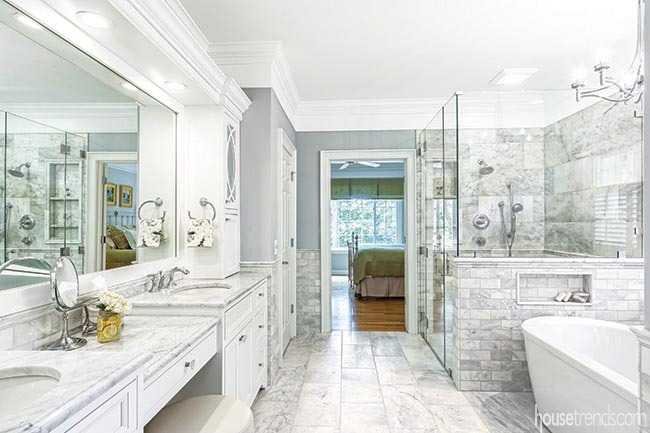 While planning to brighten a dated master bath, Columbus area homeowners knew they wanted to include white cabinetry and marble in the renovation. 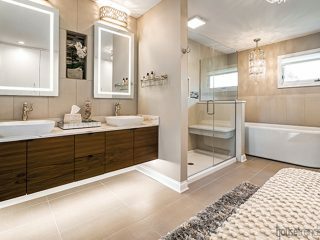 They were set on a marble countertop, but didn’t think they could afford to use marble on the rest of the project, which included the floor, entire shower and half of the walls. 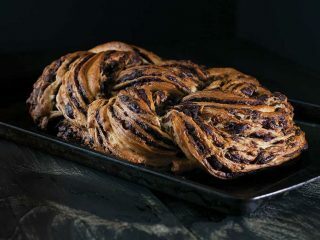 When it came to their attention the porcelain they selected might actually be comparable to marble, they decided to splurge a little and get what they really wanted. This would be the year the couple decided to do something solely for themselves – create a luxurious, spa-like retreat in their master suite. 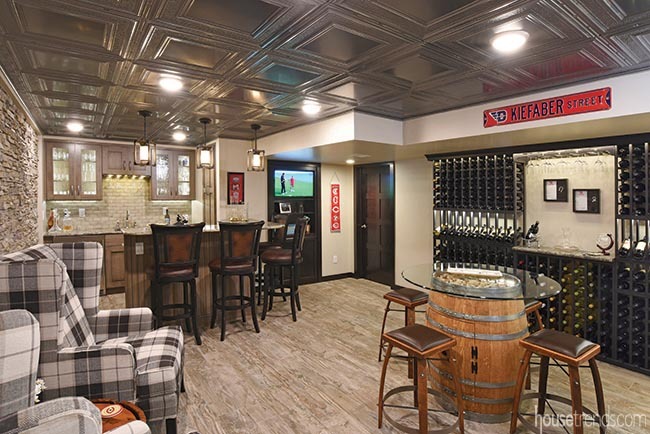 The goal of this basement remodel was to bring a little taste of Napa Valley to Dayton by transforming the unfinished space into an entertaining area complete with elegant wine storage. As wine aficionados, the owners of this Dayton, Ohio home set out to incorporate a taste of Napa Valley into the design of their finished lower level. What originally started out as a functional and visually appealing storage plan for their wine collection ultimately led to an entertaining space that includes a sitting area and a full bar. 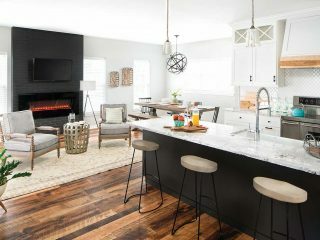 Rich black wine storage racks, tin ceiling panels and porcelain tile flooring mimicking the look of hardwood all work together to create the elegant, yet cozy, space.